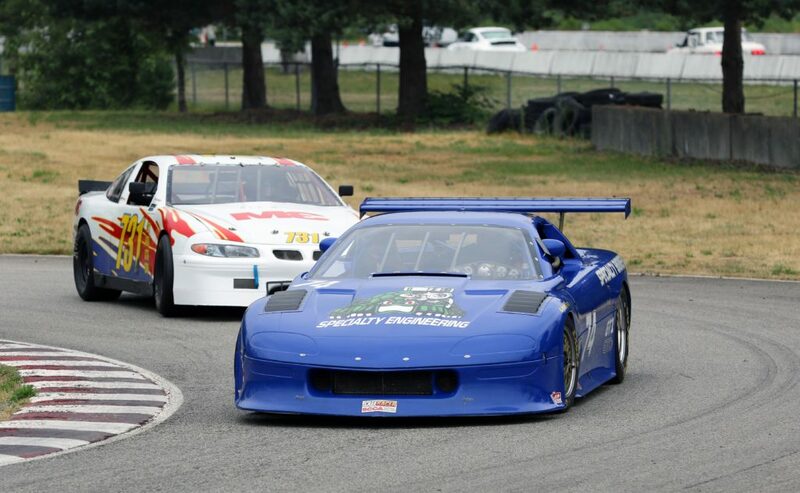 Long-time SCCBC member Andy Pearson was recently inducted into the Greater Vancouver Motorsport Pioneer Society. Each year the society selects motorsport pioneers to be honoured at the society’s annual induction ceremony. The Society’s inductees have contributed significantly to the sport for at least forty years prior to induction. As such, Andy was certainly qualified for induction. Here’s his story. It’s not always easy to find some one who is accomplished both on the track and in the shop building winning race cars. But Andy Pearson fits that bill. Andy became interested in cars and motorcycles at an early age and learned to drive when he was just 11 years old. After graduating high school and trying out various trades, his love for cars and racing moved him to start his own company — Specialty Engineering— in 1974 at the age of 24. The early years were spent making cars fast and enticing other drivers to get work done by Specialty. Starting out with a floor jack and hand tools, Andy worked towards building a shop that could eventually construct complete race cars. He started racing motorcycles at Westwood in 1971, running a Honda 750 in Production then turbocharged it, possibly the first turbocharged road race bike in Canada. Sadly, it was made illegal a year later! Andy then constructed a Kawasaki KZ1000 Superbike which he raced until 1980. 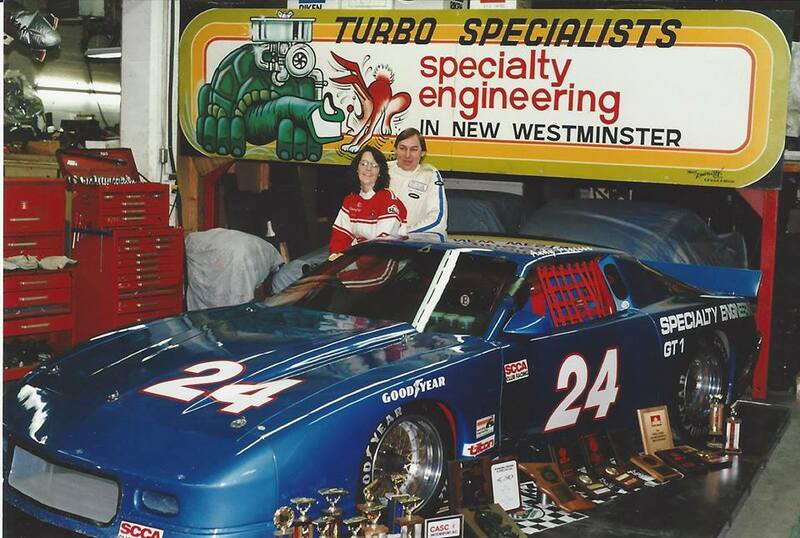 Andy and his wife, Tracey, started racing together in 1980, building a Datsun 510 for her and a Dodge Colt with a turbo charged 1600cc engine making 500HP for himself. He continued to develop and push the envelope with more boost, bigger engine and programmable fuel injection. Westwood years was receiving the CACC Mechanic of the year award in 1983 and the SCCBC Sportsmanship award in 1984. With the closing of the Westwood, Specialty took away three lap records: One in DRC with Pete Robichaud, GT4 with Collin Jackson and Andy in SP, driving his turbocharged Dodge Colt. 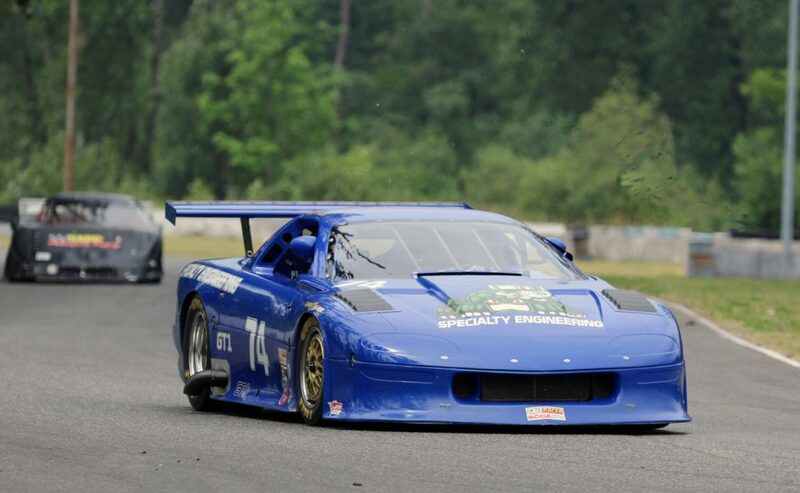 Andy raced a tube frame GT1 Camaro in SCCA National events on the west coast. He started constructing his own designed GT1 tube frame chassis in 1997. The Chevy Camaro, chrome moly tig welded chassis with 800 HP competes in SCCA and has raced at Mission Raceway. He currently has the ICSSC lap record at Mission. cars took a back stage in the early 1990’s as Andy attacked his next big goal in car building by challenging the GT3 NASPORT field. Collin Jackson, Dave Humphrey and John Boyko had Andy build three custom Nissan 240sx cars. The 18-month project put his racing on hold but the results were worth it after the race cars dominated the NASPORT series between 1996 and 2001. Andy received the NASPORT Mechanic of the Year award for car construction in 1996. GT3 cars competed at the SCCA Runoffs in Mid Ohio. This was a big challenge for Andy’s small Canadian company, which felt pressure to go against the best in SCCA GT3. team’s first trip to the SCCA Runoffs was a dream event with Jackson winning first and Humphrey second place in GT3. They backed that up with first and third place finishes in in 2006 at Heartland Park, Kansas and first and fourth at Laguna Seca, CA in 2014. Andy is well known for the quality of his workmanship and having the skill to do the designing, fabrication, welding, machining, fiberglass, paint, building of the engines, transmission and differential. His accomplishments are a reflection of his self-taught talent.